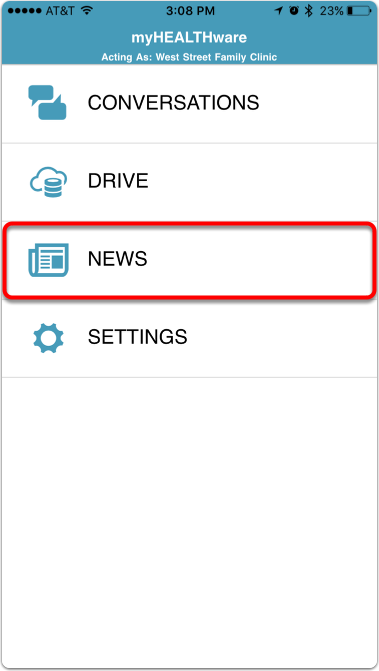 The new myHEALTHware News section can be access from myHEALTHware mobile. Tap on News. 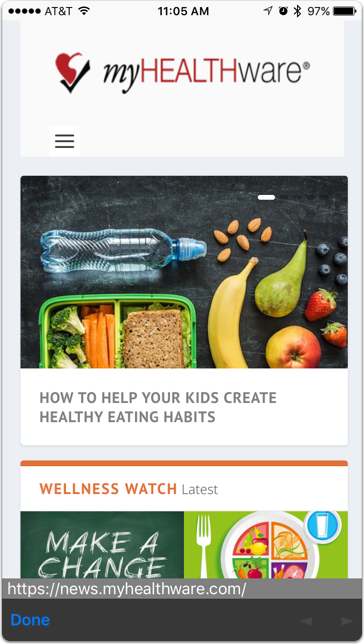 This will open our NEW and improved website that includes health news on topics such as medicine, fitness, nutrition, diet, health care and more!